The Friends of the Chesley Memorial Library will hold its Annual Meeting on April 30th, starting at 6:45 pm at the library. The public is welcome and refreshments will be served. The agenda will include: President’s report; Treasurer’s report; statement of purpose, and final planning for Humor and Harmony, the next fundraising event. Joseph J. Jeffrey VFW Post 7217 in Northwood announces there will be a remembrance and wreath laying ceremony at the grave site of Private John Bickford at the Canterbury Cemetery, Olde Canterbury Road, Northwood NH on June 16, 2018. The ceremony will start promptly at 10:00 AM and last about an hour. Private Bickford was a veteran of the Revolutionary War and served in General Stark’s 1st NH Brigade, Dearborn’s Company in 1775. He has lain in an unmarked grave for over a century. In April of 2018 the VFW succeeded in obtaining an appropriate head stone from the Veterans Administration. Veterans, general public, and veterans’ or civic groups are invited to attend. Groups please limit your official delegation to three-persons. Please contact Post Commander Daniel Barnhart at NHVFWPost7217@gmail.com for additional information or RSVP. Some years ago on the last Friday evening in August I suddenly realized in a panic that I had stupidly forgotten to register my car. Now I had no way to get to work on Monday. I sheepishly called the town clerk, my neighbor Arlene Johnson, to ask if anyone would be at the town hall on Saturday. She said no and asked why. I explained the situation. No problem, she said. Just come round to my house and pick me up and we’ll go open up town hall to register your car. No trouble at all. And so it happened. I once read that the American artist and antiquarian Eric Sloane had been inspired by an epitaph he saw on the gravestone of a New England matron of many years who had passed on. All it said was, “She did what she could.” He later discovered it to be a verse from the Bible. Arlene always did what she could, especially if it meant helping out a neighbor in trouble. I mourn Arlene’s departure. Like all Northwood, I will miss her presence among us. Northwood residents may bring up to 10 gallons of household hazardous waste (HHW) to Turnkey Landfill, Rochester Neck Road, Rochester on Saturday, May 5, 2018 from 8:30 am to 12:30 pm. This is the one time each year you may bring items that may not be disposed of at the Northwood Transfer Station. There is no charge. Household hazardous waste include: House and Garden products: weed killers, bug/rodent poison, oven cleaners, drain and toilet cleaners, pool chemicals, flea repellents; Garage products: fuel additives., creosote, antifreeze, transmission & brake fluid; Workshop/paint products: oil or enamel based paints & stains, paint strippers, photography chemicals, glues, solvents, etc. Join Lakes Region Public Access Television at 10:30 p.m. this Friday and Saturday night (April 27 & 28) for our “LRPA After Dark” presentation of 1940’s film adaptation of Thornton Wilder’s beloved play “Our Town,” starring William Holden, Martha Scott and Frank Craven. Set in the fictional town of Grover’s Corners, New Hampshire, “Our Town” uses a narrator (Mr. Morgan, played by Frank Craven) to introduce us to the people living in this small New England town. Life has not changed much here throughout the years: people are born and grow up, fall in love, marry, raise families and die. In that way, Grover’s Corners is like any other place in the world. We meet Dr. and Mrs. Gibbs (Thomas Mitchell and Fay Bainter), who live next door to their friends Mr. and Mrs. Webb (Guy Kibbee and Beulah Bondi). Their oldest children, George Gibbs (Holden) and Emily Webb (Scott) fall in love and marry. Through the magic of the narrator, the viewer is able to examine the characters’ most intimate thoughts, fears, hopes and regrets. Will George and Emily live happily ever after? Thornton Wilder was awarded the 1938 Pulitzer Prize in Drama for “Our Town,” and often called it the favorite of his works. The play debuted to rave reviews on Broadway that same year, featuring both Craven and Scott debuting the very roles that they would play in this film two years later. Both critics and moviegoers had much praise for the movie “Our Town,” which went on to receive six Academy Award nominations: Best Picture, Best Actress (Scott). Best B&W Art Direction, Best Original Score (written by Aaron Copeland) and Best Sound Recording. Bosley Crowther of the New York Times lavished the film with praise -- something he rarely did -- stating “We hesitate to employ superlatives, but of ‘Our Town’ the least we can say is that it captures on film the simple beauties and truths of humble folks as very few pictures ever do: it is rich and ennobling in its plain philosophy – and it gives one a passionate desire to enjoy the fullness of life even in these good old days of today.” What else do you need to know? Grab your popcorn and meet us after dark for this simple, dramatic and stunning film adaptation of this most beautiful and tender story. Your letter of April 18 was the best my wife and I have ever read in The Sun! We were both raised in conservative Yankee families and have lived in New Hampshire all our lives. We bought our home in Northwood 23 years ago, believing it far enough north to avoid infectious influx or what we call; liberal creep. However, progressively it slunk into Northwood like a disease; replacing common sense values with erosive liberal ideals, school and social programs, and taxation. Repeatedly common sense community leaders were slandered, voted, or frustrated out of office. Some gave up. Some passed away. Some left. We are in fact selling our home, though we believe there is nowhere that we can go to avoid the creep. Our home is a small cape on two acres. No garage, no town water, sewer, or amenities. We pay for trash pickup and avoid “the dump.” We’ve no use for the declining school system (daughter married and moved away). Yet property taxes continually climb into the liberal stratosphere. We’re literally forced to seek a community where taxes are low enough for us to swallow the thought of chronically paying for things that we don’t want, approve of, or vote for. To good Northwood folks like Paul A. Johnston, whom we sadly leave behind, we say regrettably; fare well with the best of luck and health to you. To the Northwood liberal infectious influx i.e. ; The Creep, we say; Have it your way. We will no longer help you pay for it. We will however, sadly observe from safe harbor while you slowly but most assuredly, with a lack of common sense typical of liberal idealism, send a once historically sturdy ship straight to the bottom. I’ve been told that I should try to get donations to finish the NTS swap shop building. Walls, paint, etc. Who are these selectmen that they would make the taxpayers pay twice to finish this building, when the taxpayers have $62,000 for this purpose, money the taxpayers earned already by recycling. Not to mention all of the things that have been donated already. Is this some plan by the selectmen to stop putting recycling money into the expendable trust? Do they think by refusing to spend this money that was put aside for this purpose, that they can get their fingers on it for some other project they have in mind? Disposing of our trash is expensive, buying equipment that improves the transfer station is expensive, we need to continue wlth our recycling programs and we need to continue depositing money from recycling programs into the expendable trust so when unavoidable expenses arise we can cover the costs. We just spent $8,000 for a larger compactor bin, money taken from the expendable trust. We didn’t need to try to find a way to pay for it, the money was there. This is the reason for this fund. The swap shop building is just as important, we need to finish our swap shop. It will save taxpayer dollars, and I believe it will help to encourage more people to recycle. We can’t let this building sit unfinished and rot away. That’s just stupid!!! Take a stand, together we can make.this happen. Call your selectmen and let them know how you feel. The Northwood School Board has a vacancy as of April 19, with the resignation of member Bree Gunter, who is moving out of town. The board will appoint a replacement to fulfill the term through March of 2019. If you are interested in serving on the School Board, please submit a letter of intent to Board Chairman Keith McGuigan via SAU #44, 23A Mountain Avenue, Northwood, NH 03261, or by email at kmcguigan@northwood.k12.nh.us by 4pm on May 16th. Feel free to include any relevant experience or qualifications. Thank you. 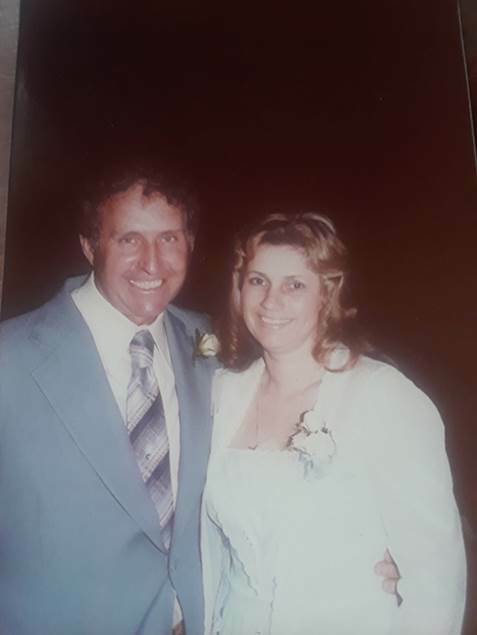 Barbara Jean (Steeves) Hopkins, 78, of Northwood, came to her rest on March 26th, after a 26 year battle with cancer. She was born in Portland, ME on November 26th, 1939, the daughter of Lewis and Dorothy (Mollins) Steeves. She was a graduate of Deering High School, in Portland, class of 1958. She worked for Sears & Roebuck in CT and later in Concord, NH. She later worked for Healthsource/Cigna in Concord for eight years. She was a member of the First Congregational Church of Pittsfield and sang in the Church choir and also served as a Deacon. She was a member of the Concord Cancer Support Group for many years. Her greatest enjoyments were spending time with family and friends and working in her garden. She was the widow of Franklin Hopkins who died in 2011 and is survived by a son, Brad Brooks and wife Sue of Northwood; a daughter Bonnie- Lynn Maloney and husband John of Affton, MO; two stepsons Jeffrey Hopkins and wife Sandra and Henry Hopkins and wife Cheryl; several grandchildren, great grandchildren, nieces and nephews. She was predeceasd by a brother Allen Steeves, and three stepdaughters. A joint Memorial Service will be held Saturday May 5th at the First Congregational Church, Main St. Pittsfield at 11:00 AM.The Rev. David Stasiak, Pastor, will officiate. Military Honors for her husband Franklin, a US Army veteran will conclude the service. A collation will follow in the Church vestry. The Waters Funeral Home, David Pollard, director, is assisting the family with arrangements.